Let’s do lunch, at Claremont Quarter, Beluga Style! 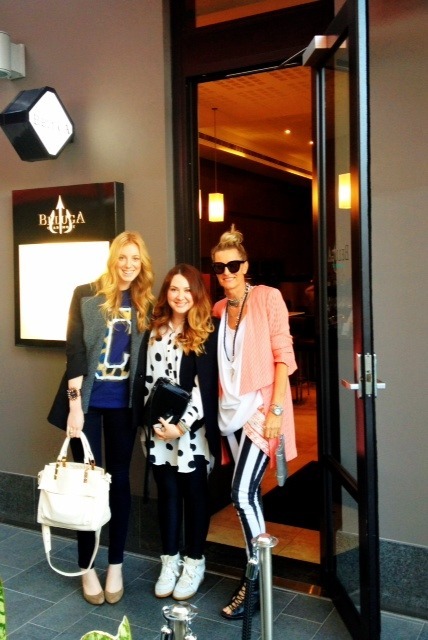 A Friday Beluga Lunch date at Claremont Quarter with Rayne Embley and the gals resulted in our table being the last to leave at 5pm! Mmmmn surely that’s a sign of a fabulous long lunch!! Pictured above (L) with Clare Ryan, Style Editor of Scoop Magazine and Zara Bryson (Centre), Creative Consultant and CQ Retailer. Rayne (who has just had bub No. 3) rocked her JBrand jeans, brand new Bruug ‘Olsen’ tuxedo jacket, Gucci studded clutch and Senso heels. Cool, casual style. Zara created a fun, eye-catching outfit with her Isabel Marant hi-top sneakers, Romance Was Born spotty shirt and Sass and Bide cape. Her soft bouncy curls are the best in town! Clare wore cult tee brand, Etre-Cecile. It’s ‘Big C’ Cheetah tee has become sought after worldwide. 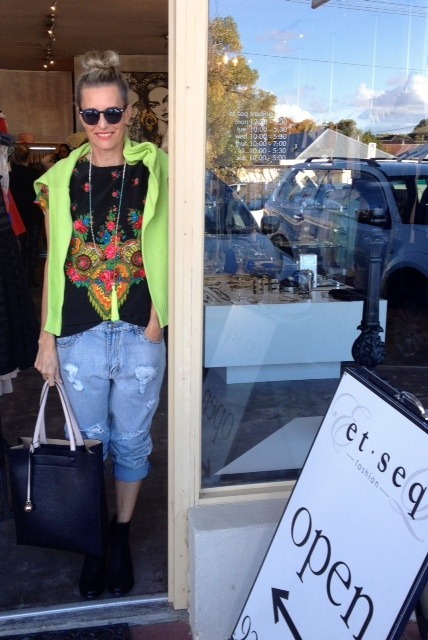 I’m wearing black and white Charlie Brown “Jail Break’ jeans and a Sass and Bide drapey singlet with RingMaster jacket. 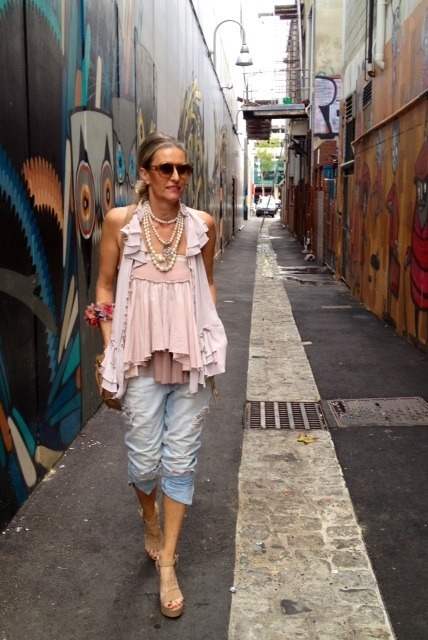 A Sass and Bide scarf is slung around my hips. 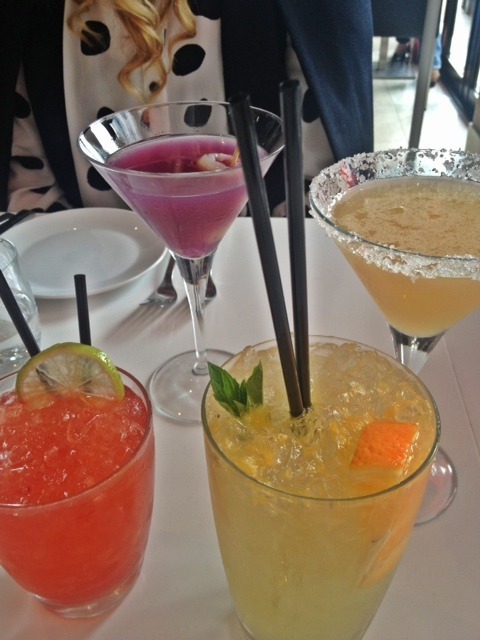 To kick off our lunchtime celebration, we began with a carnivale of cocktails! Cheers! As Beluga has a fab new Piccolo Dining Menu, we sampled mouth watering treats such as Crispy Pork Belly with Pomegranate Pear and Potato Puree. The Secret Sicilian Meatball was THE BEST I’ve ever tasted!! The tastes just kept on coming… one each and “Oooh Aah” scrummo!! Its fun to share and chat in between each tasting. 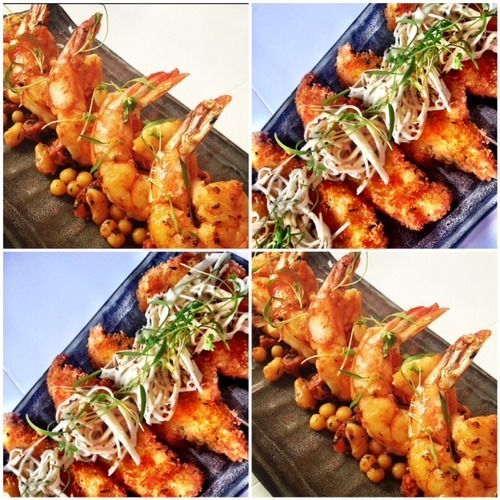 Above, Shark Bay Tiger Prawns and Crumbed Mandurah Cobbler. Delishhhh! The finale was a triple treat platter! 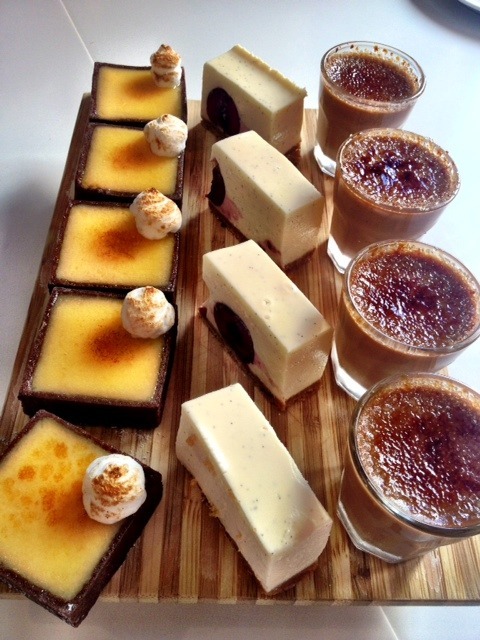 Jaffa Brulee, Cherry Cheesecake and Lemon Curd Chocolate Box. Sensational!! So Lovelies, it’s a date! Try a girlie shopping expedition to Claremont Quarter. Or alternatively, book in for a ‘Be Styled’ treat with me. 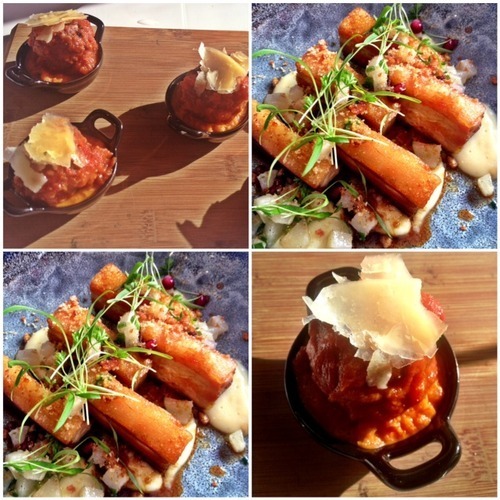 Then pop into Beluga and experience their Piccolo Dining. It’s a fab way to mix Food, Fashion and Friends!